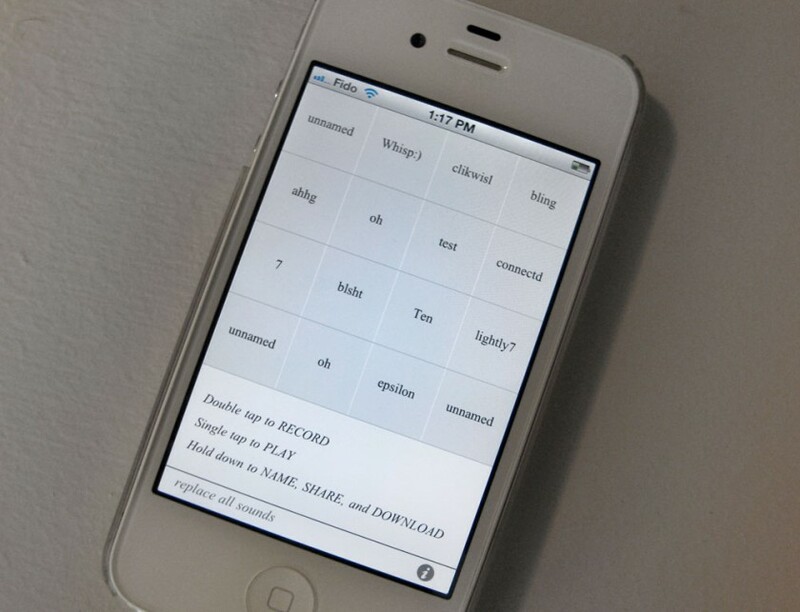 iDon’t Stop (2011) is an iPhone application that emulates the installation piece called don’t, stop (described above) and makes this artwork widely available to people who may not step into art galleries. In addition to recording and mixing loops, the user/participant can upload and share their loops with others who have the app installed. They can also add sounds to their mix by randomly downloading new loops that have been uploaded by others. Video of an example session using the app.